Resorts of Ontario is happy to welcome Port Cunnington Lodge and Resort as one of our newest members. Established in the late 1800’s, Port Cunnington has been owned and operated by family since the beginning. 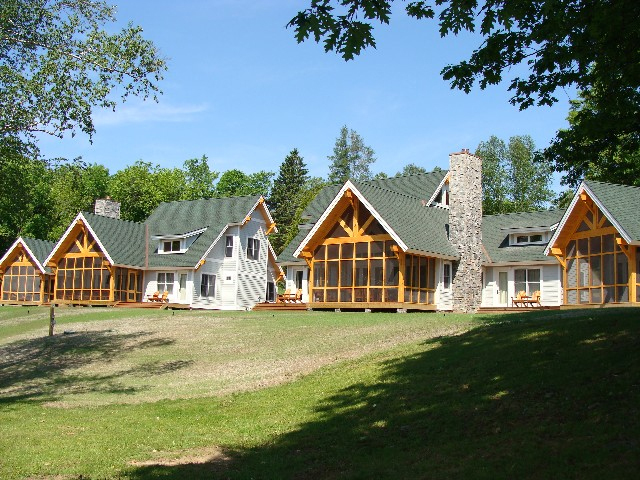 Over the years they have expanded from the main Victorian Lodge to add seven additional custom-built family chalets along a beach shoreline of 1,800 feet on beautiful Lake of Bays. In total the resort sits on 22 scenic acres and provides magnificent views of Bigwin Island. This truly is a water enthusiast’s paradise. Port Cunnington is a Muskoka favourite for weddings, banquets, corporate events and team building exercises. With its luxury accommodations, scenic setting, and stunning views; whatever your event, your group will leave with lasting memories. This resort will take your breath away. The atmosphere, the welcoming staff, the charming accommodations and the local “deer residents,” are just some of the features which draw you to Port Cunnington. For more information please visit their website and you can also sign up for their newsletter.